We know that there are health and economic disparities across communities especially when it comes to access to affordable housing, healthy food, and even neighborhood parks. Community Commons is an interactive mapping tool created to inspire change and improve communities. Thousands of databases are combined in categories such as income/economy, education, food, environment, and health. Through the use of maps, reports, and stories, Community Commons helps users implement action plans for local communities. 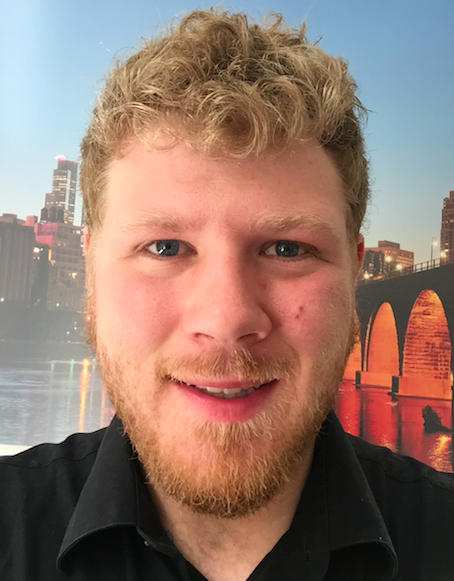 Why We Like It: The easy-to-navigate, open source interface allows users to map both publicly available and user-shared data with no special training and at no cost. Hospitals and healthcare systems can also use the Indicator Reports to develop Community Health Needs Assessments to meet their Affordable Care Act requirements. Finally, the Vulnerable Populations Footprint tool maps poverty rate and educational attainment as measures of health disparities and community vulnerability. Where You Can Find it: Learn more and explore the tool at communitycommons.org. Read more about how the tool can be used to support cross-sector collaboration through our own MeasureUp. 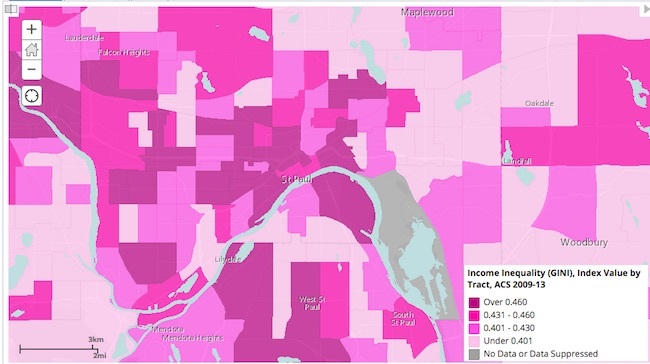 This map showing income inequality in St. Paul, MN was created by the author. Read more about local efforts to address the issue in the Network’s Community Close-Up series.